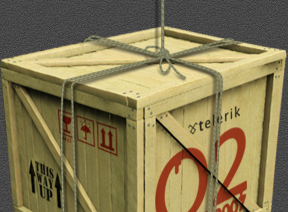 Telerik Watch: Q2 release almost revealed! How have you enjoyed the Q2 game so far? Thousands of you have already contributed your weight (or some of your weight...sorry Lino) to the game and we are getting very close to completely raising the Q2 release. If you have not already contributed your part to this releases' game, help everyone out and jump on the scale right now. With about 500 more players, all will be revealed and the details of Q2 will displayed for your viewing pleasure. Also, if you have not taken a moment to scroll over some of the names and countries involved in the game, you should. Seeing people from all corners of the globe come together for the Telerik release is fun to watch. Oh...and one more thing. There actually is something new and exciting that will be revealed for the first time once the Q2 release has been unlocked. I know I had previously said there were no secrets that would be revealed in Q2- and there still are no control secrets- but there is something very cool that we've kept quiet for a while now that will go live as soon as the game ends. So hurry up!